I love this top so much, even if my brother did say I looked like an old lampshade. 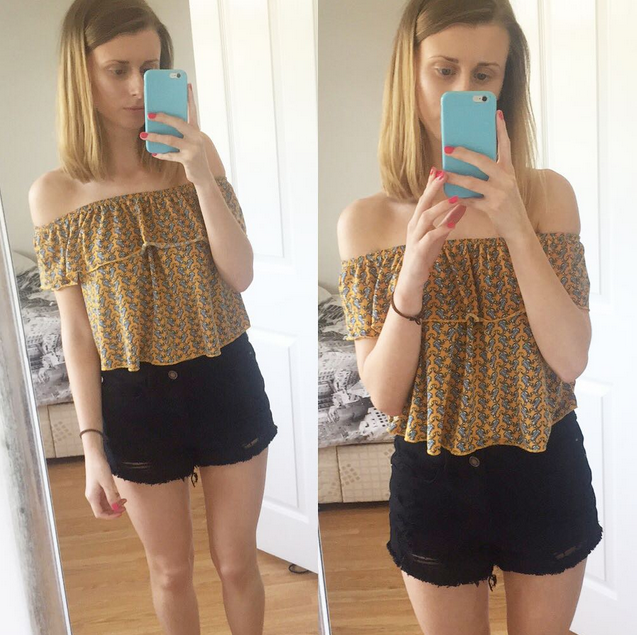 I’ve loved the bare-shoulder trend this summer, just wished the English weather gave me more opportunities to dress like this!! For £16 from Topshop it was a steal. Have you got into the bare shoulder trend this season?